take a break from information overload! Setting attendees loose in the kitchen is an excellent way to get them working together. This can be as hands-on or hands-off an experience as you want it to be. 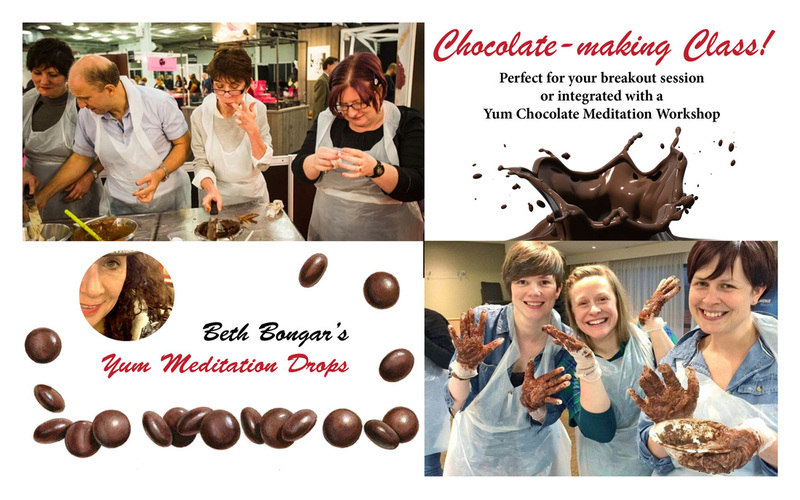 Beth attended the International Culinary Institute and is a chocolatier. She can demonstrate how her chocolate is made, and allow guests to sample the finished product. If you want them to get their hands dirty, offer a full-blown chocolate-making course.